In a move that didn’t come as a surprise to most, PDRA announced that they have pulled the plug on their Pro Extreme class due to lack of participation. About a week and a half ago we wrote an article asking you if Pro Extreme was dead (read here), Well unfortunately that has come to fruition. As it was announced by PX driver Adam Flamholc that he would no longer be contesting any more Pro Extreme events the rest of the season, followed shortly thereafter by the organization announcing that they were officially pulling the plug. While we believe that it is truly sad that the class appears to have run it course, the time had come for the PDRA to make the difficult decision to cancel it. The dramatic drop off of contestants for the class this year was glaringly obvious. I believe there were a total of four different competitors that attended the class this year. If you look at the year over year numbers, they had been falling by a good amount. 2016 saw a great number of cars, but 2017 was a huge dropoff (almost 50%) and the writing was on the wall. There are plenty that believe the downfall of the class was a rules-based issue. There are others that have stated to us privately that it is more of a personnel issue within the organization that has turned them off from running with the PDRA. No matter what it may be, we have lost one of the most exciting groups of doorslammer cars in the world. In speaking with Adam, as he was one of the competitors to compete this season, he stated that he is not sure what he will do for the rest of the season. 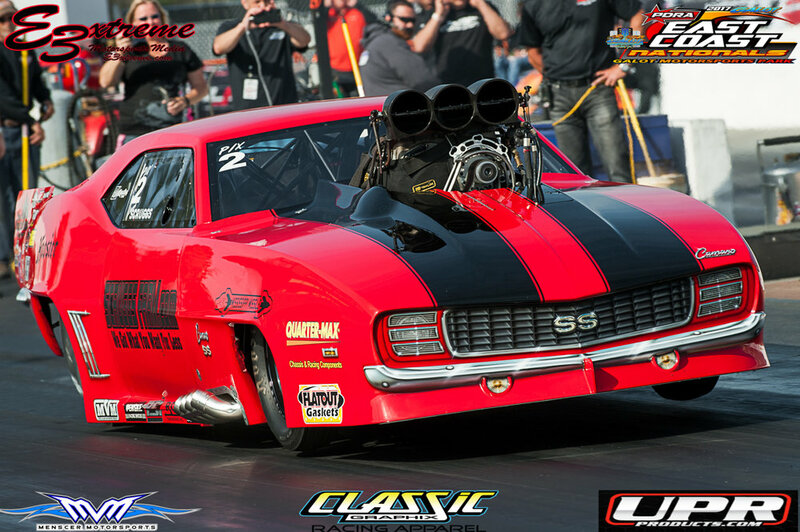 He may head over to NMCA and Mid-West Pro Mod when his schedule allows as well. There are rumors afloat that Jason Scruggs and Terry Leggett may bolt a roots blower on and play in Pro Boost, but we have not been able to verify that with either racer. PDRA’s next race will be contested at Virginia Motorsports Park in two weeks, where we are sure they will have an excellent turnout for their remaining classes, as VMP is really a home base for their core group of racers.